Do these work with an iPhone 8? What about Apple watches? I have the same question. Also what chargers are people powering these with? I highly recommend a RAVPower USB Charger combined with a standard UK&gt;US mains adapter, it is a real winner with 6 x 2.4 Amp USB outputs. I used it in the States last year and it worked great. Doesn't support fast charge on th mate 20 pro but seems good for other stuff. 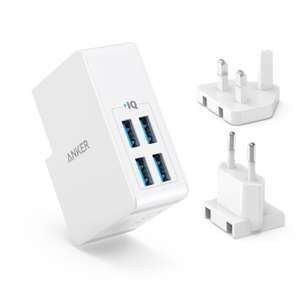 Is this same as iphone fast charger? Extremely slowly I would imagine. Clearance and not on website. That pretty much means you have no chance of finding one. That's because AEG have changed the battery. They now do a 3, 6, and 9Ah HD battery. The ones that come with this are standard lithium ion. Fast charger wirelessly or fast charge with lightning plugged in? I slow charge via wireless. Fast charge with a Anker power brick and Anker lightning cable. Thanks. Is there anything I can fast charge with using the lightning cable? Or is the cable itself limited? At the moment you can also get a free iPhone X case (worth £4.99) with this purchase. Just look at the bottom of the 'Promotion Message' and select 'Add both to Basket'. 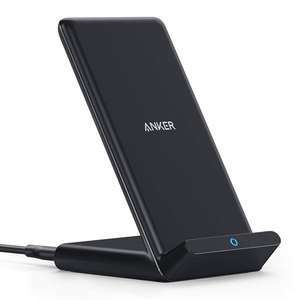 Anker PowerCore 26800 Portable Charger with Dual Input Port £37.49 Sold by AnkerDirect and Fulfilled by Amazon. Don't know why this is cold, seems like a decent reduction to me for a decent brand and good price per mAh. Decided to buy one, should be handy for any long camping trips. I don't know what the equivalent is in other phones but it won't dash charge my Oneplus 3. I even used the Oneplus cable that I use with the dash charger and it still only charged at 1.3A. With dash charge it normally pulls 3A. Looks good and like the circuit protection bit for piece of mind.Just dont think quick charging is more of a benefit to a normal charge in the long run. I find Ravpower stuff pretty good. Have one. Totally annoying. Almost impossible to see the feint blue LED light, dont know why they didnt put a customary light on top. Charges iphone at a steady rate but not super fast. Never miss a 'Charger' deal again! There was a £30 promotion on this last summer, which brought it down to under £50. £65 is still a good price, but it might be worth hanging on for a promotion if you're not in a hurry. Hell of a lot of drill for the money!! Fantastic piece of kit and a great way into their 12V range. Snap this up and you can then buy any others just as the bare tools. The batteries are perfectly adequate for type of work this drill set is built for, which is light woodwork only. There's no hammer function on this, so the drill driver is only really the useful for piloting timber ready for fixing screws using the impact driver. I'd say it's overpriced for this bit of kit. You could get an upgraded impact driver (with the higher ampere batteries that everyone on this site seems fixated on) and get some hss bits with the attachment to fit and it'll do the same job. Brilliant price for brushless, buy the 5.0AH batteries from eBay (Chinese alternative) and you’re good to go. The Chinese batteries on eBay are actually very high quality. Have been using them in our garages for years and they’re a fraction of the Dewalt 5.0ah batteries. Ideal if you have any small gadgets that charge wirelessly such as headphones, watches etc and don't want to spend a fortune. You need to progress to checkout and it will be applied. This is not £22.99 :/ its coming ip as £38.99 ? Is there a code you need to put price down???? Got a source for this information or are you just speculating? Lies, Anker were not established until 1971. 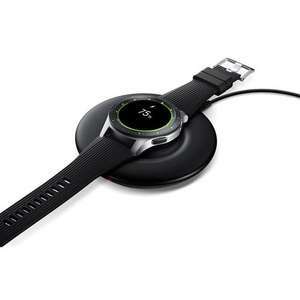 Would this charge a Samsung Gear S3 4GB Classic Smart Watch? Yeah exactly. I understand wireless charging pad benefits but this comes across as a bit pointless. You can only fit one device on it too lol. For those who don't check full info: This does NOT come with the wall plug. Anker 42w USB C Car charger with 30w PD port £11.99 (Prime) / £16.48 (non Prime) Sold by AnkerDirect and Fulfilled by Amazon. Chargers aren’t exciting, but underrate them at your peril. How often have you been stuck with a phone on one bar, with no way to replenish its charge? Has your laptop ever gone dead in the middle of a crucial document? Almost everyone relies on chargers to keep their devices going, and we consistently need to purchase replacement chargers for the phones, computers and gaming consoles we use. This buyer’s guide introduces some of the most important types of chargers and will help you find the best deal when looking for the items you require. Chargers have been around as long as batteries have existed, but have become doubly important in everyday life since we started to use portable computers and mobile phones in large numbers. Before the 1980s, computers and phones tended to run purely on AC mains current, with direct connections to their electricity supply. However, with the rise of laptops, tablets and mobile phones, this kind of power supply would no longer suffice. Instead, manufacturers began supplying AC chargers with their products – compact devices that could convert mains electricity into current to power the batteries in their devices. In the past 10 years, standard chargers have become smaller and have been joined by smarter devices with the ability to charge various types of battery. At the same time, power banks have become popular, offering a jolt of charge that can be carried in handbags or pockets if required. What hasn’t changed is that we rely on chargers to keep our communications and gaming devices going, and that looks likely to remain true for the foreseeable future. Briefly put, chargers turn mains electricity into a form of current that is appropriate for certain types of battery. Most low-end chargers work on a continuous basis. They supply a certain level of charge constantly until the charger is unplugged or switched off. They often charge fairly quickly, but run the risk of over (or under) charging the devices they are connected to. As you go up the price scale, you’ll find chargers with more subtlety. These chargers tend to use slower, more tightly controlled currents and feature feedback loops and sensors that precisely calibrate the level of charge they deliver. It all helps to ensure that fragile batteries receive optimal charging levels and avoid the damage caused by overcharging. When charging goes wrong, the consequences can be deadly. For instance, there have been cases of mobile phones combusting when their batteries become superheated due to overcharging (although simple device failure is a more common issue). This makes it really important to find a charger that is suited to the device you need to charge. You won’t be doing your laptop or smartphone any favours if you choose a cheaper charger that leads to long-term damage. Battery chargers – Rechargeable batteries can be found in many wireless devices. Perhaps most importantly, they are a key component of automobiles (hands up if you’ve left your headlights on at night and found your battery has been exhausted overnight). This makes it essential for all car owners to have a battery charger in their shed or boot. A 10-amp charger will generally be sufficient for most standard car batteries, and try to find a microprocessor controlled smart charger as well. There are many cheaper options on the market, but your car battery will thank you if you go for a higher-end device. You might want to think about choosing a waterproof charger as well – you never know when you could break down in inhospitable conditions. Laptop chargers – Almost all laptops use rechargeable batteries, allowing them to be used wirelessly, wherever you need to get some work done. The precise charger required will vary from manufacturer to manufacturer and from model to model – so always pick one that is certified as compatible with your computer. Universal chargers are also available (but double check that your manufacturer is listed in the specifications, as sometimes major laptop makers are excluded). These chargers could be extra-useful if you own or manage a range of laptops, and they tend to come with a selection of connectors as well. Smartphone chargers – Again, all mobile phones need to have their batteries topped up regularly, but there’s 'no one size fits all' charging solution. While phones usually come with a charger included, it’s often a good idea to buy an additional charger when you purchase your phone, just to be on the safe side. You might also want to add a USB charger to your accessories collection. These handy devices let you use the charge on your laptop as a power source for smartphones. iPhone Lightning Chargers – Having said that mobile phone users should think about getting a USB charger, this has to be qualified for Apple fans. Apple’s iPhones don’t use standard USB connections. Instead, you’ll need to get hold of a charger that uses the Lightning connector system, and specialist adapters are available to do the job. Wireless chargers – In the past, battery chargers always involved cumbersome cables that needed to be wound around the plug when the charger wasn’t in use. However, that’s no longer the rule. Nowadays, you can pick up convenient wireless chargers for smartphones and other digital devices. However, most of these devices are only partially wireless. They still generally need to connect to the mains socket in some way. Where they do away with wires is the connection between the charger and the phone being charged. It’s not a total liberation from wires, but it’s a start. You should also be aware that wireless chargers tend to be slightly slower than conventional forms (although that’s really not such a big problem if you are charging overnight, like many of us do). Check the device’s capacity. Every battery has a capacity measured in mAh. This will tend to increase with the size of the device, meaning that less powerful chargers will struggle to charge up Kindles or laptops. Make sure your charger’s capacity matches that of the device being charged. Consider the weight. Chargers are meant to be portable. Go for models that won’t weigh you down unnecessarily (or think about combining a heavy duty charger with something more stripped down that you can take when you are out and about). Outdoor solar chargers can be a great option if you need to take devices into the wilderness or just have a desire to make your digital life more sustainable, but they tend to be slightly slower than conventional models. Be flexible with multiple charging. Not all chargers are designed to handle one device at a time. If you have many devices to keep topped up, go for a charger with multiple ports and enough juice to handle various batteries. Think about opting for a battery pack. You don’t always need to rely on charging for long periods. Instead, you can find battery packs or power banks that contain large amounts of charge on small devices. They could be the ideal alternative (or supplement) to a mobile phone charger. If you are in the market for a cheap portable charger, the best usb charger, a cheap portable charger or the best phone charger, HotUKDeals is the place to look. You’ll find the UK’s leading charger manufacturers and merchants at the HotUKDeals listings, including big names like: Halfords, Argos, the Apple store, John Lewis, Sainsbury’s, Amazon and GearBest. So shop around and find a bargain on the device you require. If you shop at certain times of the year, you may well find even bigger savings. For instance, phone chargers are regularly discounted for the Black Friday retail event in November. Solar chargers could dip in price as the summer camping season gets underway, too. Whenever you make a charger purchase, the coupons, vouchers and combination deals at HotUKDeals will let you do so as cheaply as possible. 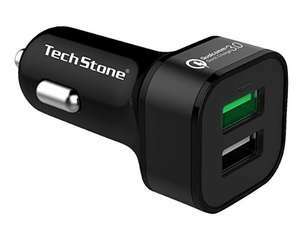 Chargers are an essential item, whether you need a cheap usb or battery charger or you want to rely on them to use your car or digital camera. Whatever type of charger you need, check out the HotUKDeals listings, where all of the major charger brands will be available at bargain prices.